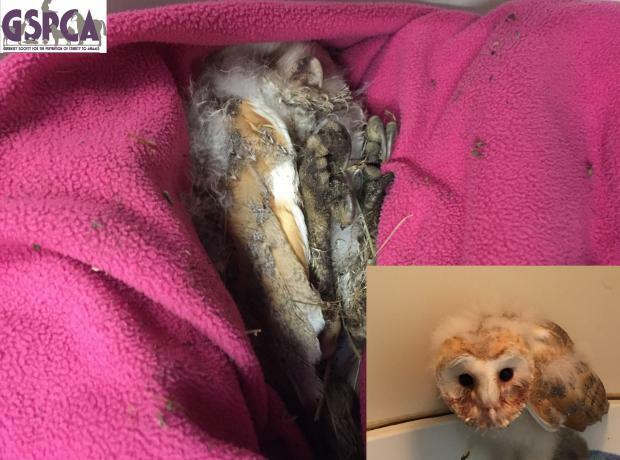 Yesterday the GSPCA team released a female Barn Owl that was rescued on the 3rd December last year. The bird that has been called Nicki was found injured in the road on L’Ancresse and on arrival the team thought her chances of survival were very slight. If the finder Nick Fitzgerald hadn’t have rescued the bird she surely wouldn’t still be alive. The rescuer actually saw Nicki fly into the side of a car which and he thankfully managed to stop and catch the bird and transported her to the GSPCA. On 22nd August a very poorly Barn Owl was rescued from a bin in Herm and brought over to Guernsey and care of the GSPCA. Over the last 3 weeks the GSPCA team have been caring for the bird which was named ‘Blucher’. Blucher after arrival was cared for in an intensive care unit and was very weak but after weeks of care was strong enough to go into an outer rehabilitation aviary. 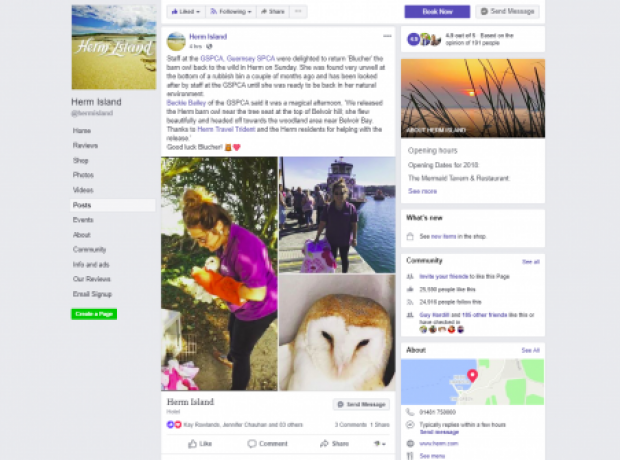 When Blurcher was deemed fit enough for release an identification ring was placed of his leg and the trip back to Herm island was planned. On the 1st August a stunning Barn Owl was rescued and brought to the GSPCA that had sadly been caught in garden netting quite likely when she was hunting at night. The bird who was called 'Beau' had very badly injured legs with the netting cutting deep through the skin. She was rushed to the vets and put on a series of treatments and returned to the Shelter where she was placed in an Intensive Care Unit. After a couple of weeks of treatment she was strong enough to be placed in one of our soft release aviaries where she gathered her strength.